Just a little over a year ago, I wrote a stupid little article titled “Why we like fictional characters” which was meant to go in my school’s newspaper. I had been reading Gawker and Kotaku for over two years at that point. When the article was scrapped for being, well pretty crap, I thought “screw it I’ll upload it to Kinja and see if it gets any views. Three months later, I would discover TAY, and discovering TAY led to finding this weird old thing called HEX chat. This was the old TAY IRC, or chat room. It made no sense and the people in the IRC (namely resident meme-er Raithulu) introduced me to TAY and how to get my articles on the front of TAY. I was writing (for fun) a review of a game I had finished to get off my backlog titled State of Decay Year-One Edition. I wrote a review of this, shared it to TAY classic, and it days later, I was notified that I was given authorship through a comment I made on an open forum. I had been taking journalism classes for two years at this point, and even at that time I was a pretty terrible writer. I was never happy writing at my school as my writing subject of choice (video games duh) was never really accepted. Being a school, I was never really allowed to write about games in-depth or to be honest, a good article at all. I learned lessons like, just because you put a lot of work into something, it won’t be viral. I learned that its okay to scrap or start articles over if they don’t come out well the first time you write it. I learned the internet will have some of the worst people you’ve met in your life and will dictate how you should write or just flat out insult you. TAY fixed all my problems and taught me these lessons better than any teacher or parent figure would. I wrote and wrote and wrote more tat until I figured out what my style of writing was (a mix of objective writing with Totalbiscuit’s occasional 2 cents). And then I kept writing. I wrote bad articles, and I wrote articles I’m still proud of. All throughout my junior year of high school I wrote whenever I had the time and an opinion. When the SAT’s came around, I realized I didn’t have time anymore. I slowed down on how much I wrote and I became self conscious, thinking my sudden lack of writing would somehow remove me the list of relevant writers on TAY. TAY kept me sane while working on a terrible newspaper which really didn’t want to include me. While I sat in my school’s publications room until midnight just to make my teacher think I was participating, I wrote more. I took, and still take every chance I have to write because its what I love to do. I got better. The practice made me a better writer and it gave me something to do when I was dealing with angsty stupid teen drama that comes with a Junior year of high school. The only thing that came to mind was TAY. So when the time came to write my college essays, I wrote about TAY. I wrote about how much it changed me, how much I loved it, and how much I wanted other people to feel that change too. This is where I would copy and paste my entire college essay to prove my point but I honestly don’t think it matters. 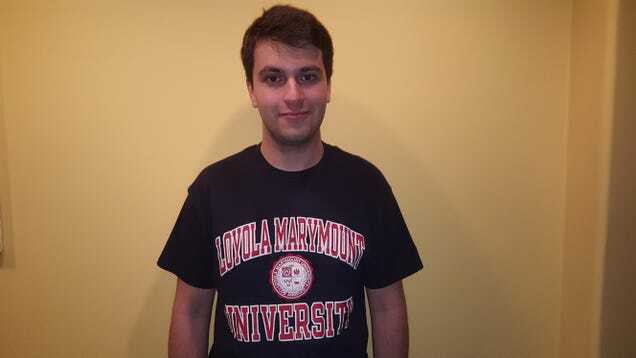 Thanks to TAY, I’ll be attending Loyola Marymount University starting in the fall semester. Now, a year later, I’m speaking with the Editor in Chief of Loyola Marymount’s Loyolan newspaper about how I might contribute to (and get paid for!?!) LMU’s newspaper. Without the help of you guys, and this site’s existence as a whole I would be struggling at DigiPen failing horribly to make video games despite being terrible at exactly that. Not only did TAY make me a better writer, it gave me more opportunities as a writer. I went from writing crappy articles for my school newspaper which weren’t allowed to have the words “weapons, guns or blood” despite being about a shooter, to working as a freelance reporter for TAY and a few other sites. This years E3, I’ll be doing some freelance work for a few sites (don’t worry, TAY will still get the most content). I’m really excited to continue writing for this site, and continue giving its readers mediocre to excellent grade content!